Samsung has unveiled a new ultrawide format in the market with the upcoming C43J89. 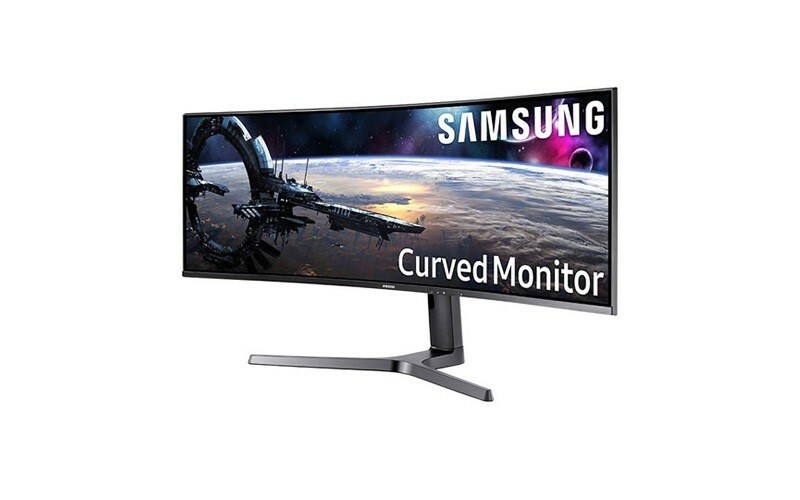 The monitor is based on a rather unusual 3840 x 1200 resolution and a massive 1800R curved display. With the C43J89, Samsung offers a 32:10 aspect ratio gaming monitor which acts like two 1920x1200 monitors side-by-side. The 43-inch C43J89 display is based on a VA panel with a refresh rate of 120Hz. According to Samsung, this display isn't compatible with HDR or VRR standards such as AMD Freesync and NVIDIA G-Sync. The monitor supports 8-bit color and it offers 5ms grey-to-grey response time. A quick look at the connectors reveals two USB 3.1 Type-C ports allowing the display to act as a screen for a device like a smartphone or a tablet. In addition, there is a fully adjustable stand and the display is compatible with VESA mountings. Samsung is expected to release this display later this year for a price of around $900 USD.